One of the positions in the team that is yet to be decided is the role of back-up wicketkeeper. The role of the back-up keeper is an important one. If Tim Paine picks up an injury just before the start of a Test match, the No.2 keeper could go straight into the team without any prior notice. The other role of the reserve keeper is to play the odd tour match when Tim Paine is rested. There are number of options for the back-up keeper position. Carey is the incumbent ODI keeper. He also played for Australia A last year. While his first class record is far from impressive, he hasn’t had a lot of opportunities to improve his record because of his ODI commitments. He only played two Shield games last season and scored a century in one of them. His keeping is pretty good, but he missed a number of chances during Australia’s ODI series in India. He still has room to improve with his glove work. He is well liked by Justin Langer and probably the most likely to be picked. Wade has enjoyed an excellent run of form since being dropped from the Test team in 2017. He performed well during the second half of the 2017-18 Sheffield Shield season, scoring three centuries. While he has been batting well, his keeping should be a concern. Even if he isn’t picked as the back-up keeper, he would be a viable option as a reserve batsman. 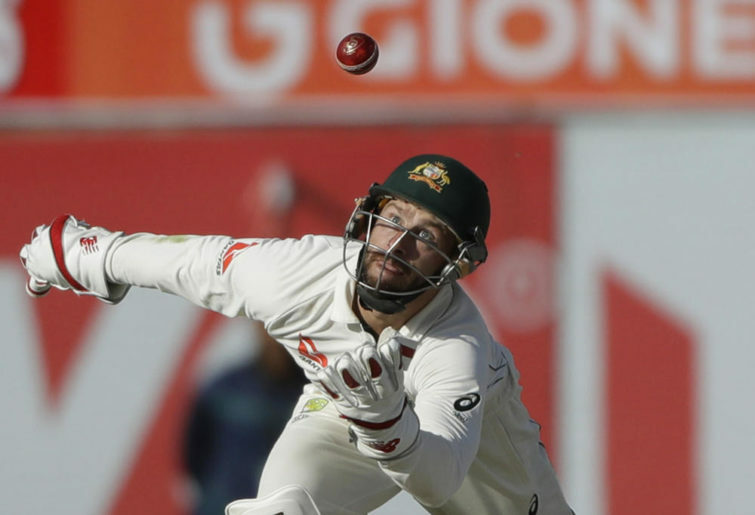 Whiteman could consider himself unlucky not to have already played Test cricket. He scored a century just before the Test squad was overhauled in 2016. He was then earmarked to play for the Australian T20 team against Sri Lanka in February, but a finger injury sustained during the 2017 Big Bash final ruled him out. The injury was so severe it kept him out of first class cricket for two years. He has batted well this season, but hasn’t been keeping. He has played for Australia A in the past and scored a century. The fact that he hasn’t been keeping for Western Australia probably hurts his chances. While Nevill is certainly an excellent keeper. His batting is what ultimately cost him his spot in 2016. He had a decent season with the bat, but at 33, he is unlikely to be the back-up keeper. Prior to making his Test debut as an opening batsman, Bancroft was viewed as a potential keeping option for Test team. While he is a very good batsman, his lack of keeping at first class level is a concern. In 80 first class games he’s only kept in three of them. He did keep for Australia a in T20 against India in January 2016. His missed stumping off Cameron Boyce not only cost Australia the match, but probably cost Boyce his spot in the team. If he can perform well during his county stint he might get picked as a batsman, but it’s unlikely he’ll be the back-up keeper. Given that he’s never kept at first class level, it’s unlikely that he’ll be picked, but Shane Warne picked him in his Ashes squad, so you never know.